Last weekend I got a friend in Denver to have a cake party. I didn’t actually take any pictures of any of the cakes other people brought, but it was a successful night. 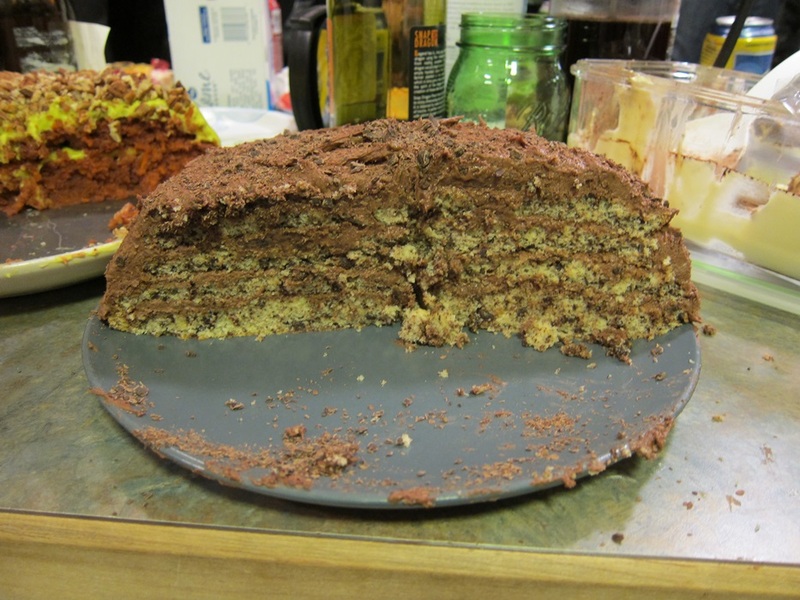 The cake I made is actually the cake on the right in the blog’s header image (scroll back up! ), although it looks a bit different for a few reasons. 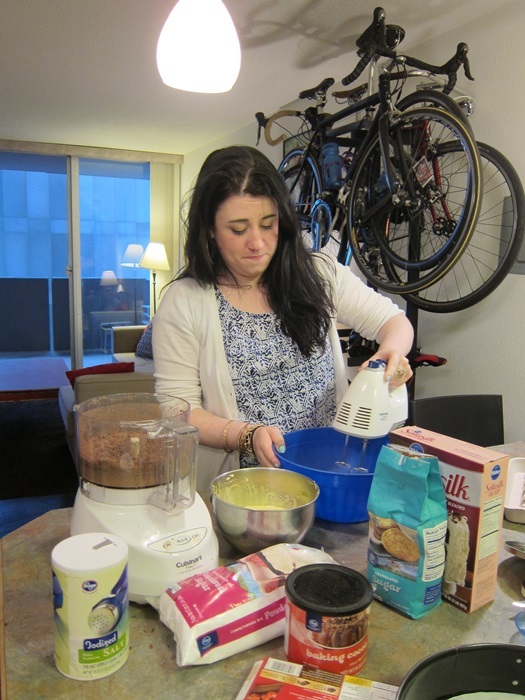 The main thing is, I was using borrowed cake pans, one of which was way bigger than 9″, so the cake batter had to cover more ground, therefore making thinner cake. 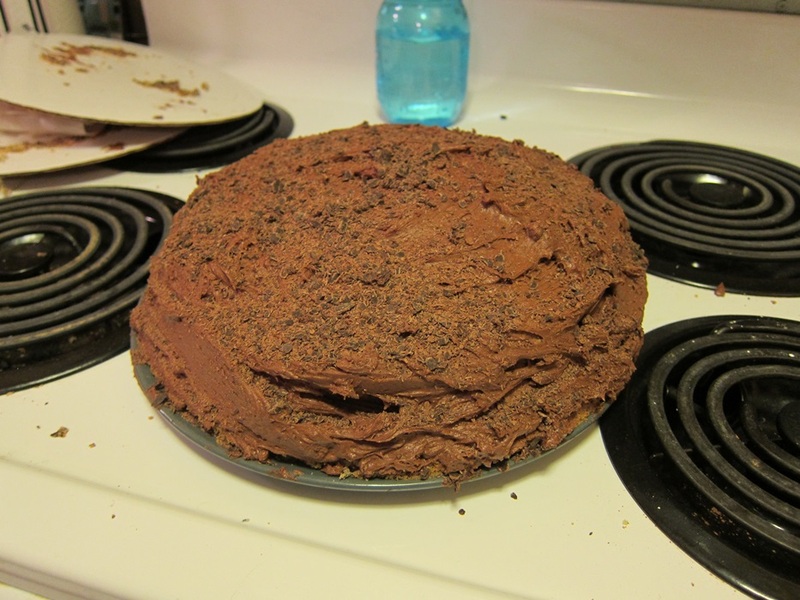 Also, that time a few years ago I had to cut the chocolate by hand, and this time I had a food processor at hand, making for much smaller flakes of chocolate. 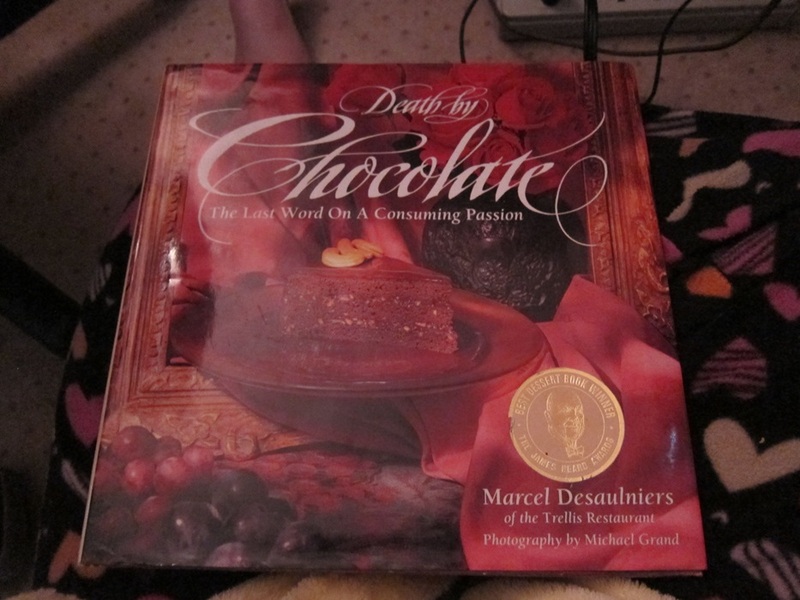 Either cake, though, tastes really fantastic, and is as chocolatey as you’d expect from the Death By Chocolate cookbook! A first note – freezing the chocolate is important, whether you plan to cut the chocolate with a knife, grate it with a cheese grater, or chop it with a food processor disk. For cutting or grating, freezing will help it withstand the warmth of your hand without turning to mush, and similarly it will keep the heat of the food processor from making a pile of melted chocolate. Store the grated chocolate in the refrigerator when not using. 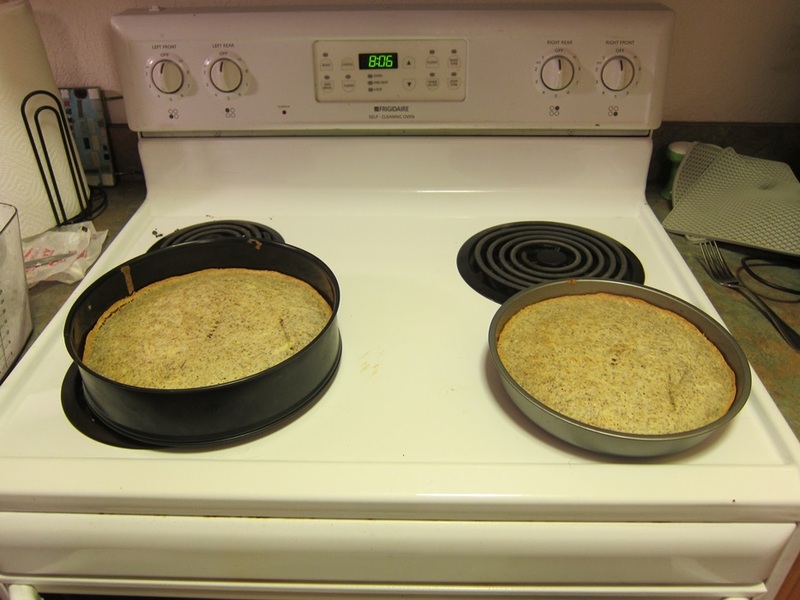 To make the cake, first melt the two tablespoons of butter and brush to cover the insides of two 9″ cake pans. Line with parchment, then butter the parchment as well. Set aside. Preheat oven to 325 degrees. In the top of a double boiler, or carefully in a pot, melt the two sticks of butter until just melted, then remove from the heat and set aside. Combine the egg yolks and 3/4 cup of the sugar in a large bowl and beat on high, using a balloon whisk if you have one, until slightly thickened, and the color has lightened slightly. 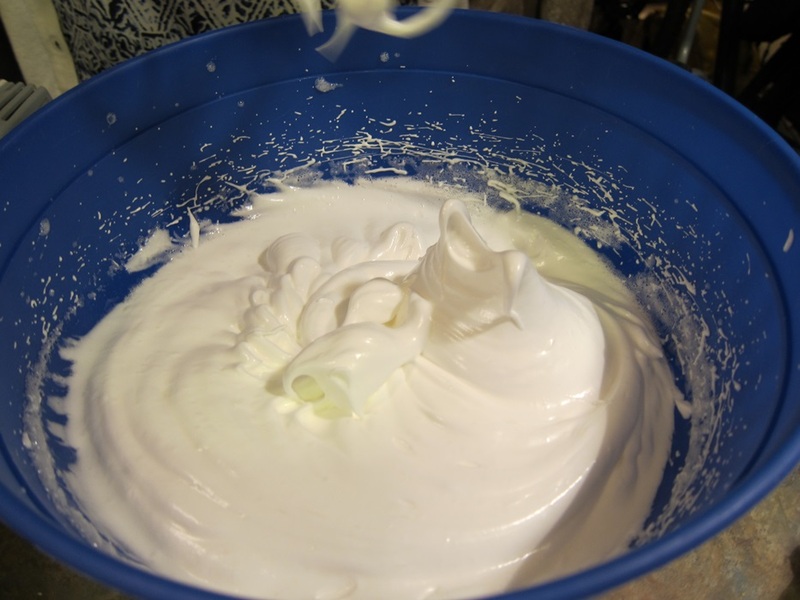 In another large bowl, beat the egg whites until soft peaks form. Add the remaining 1/2 cup of sugar and beat until stiff peaks form. A friend I hadn’t seen in roughly 15 years, who turns out to be kind of scared of mixers?? 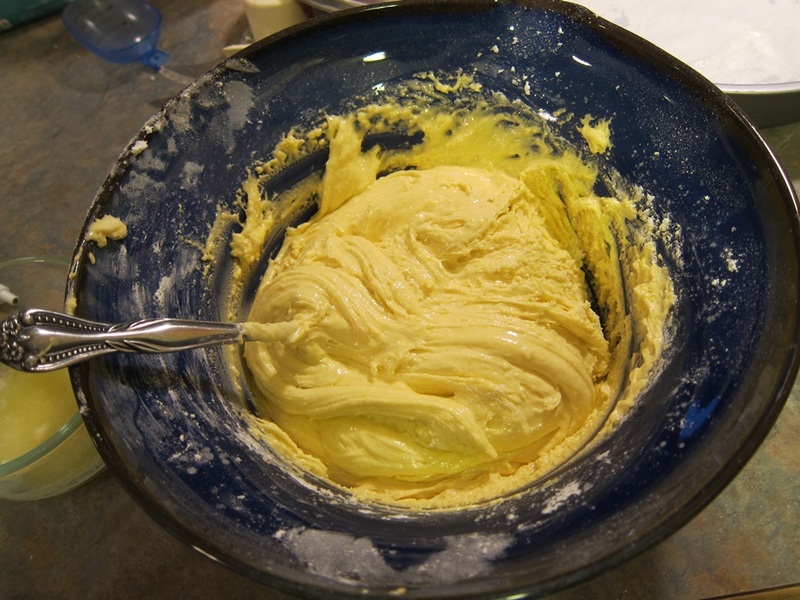 Gradually add the flour to the egg yolk mixture, beating on low. Add the melted butter and mix another ten seconds. 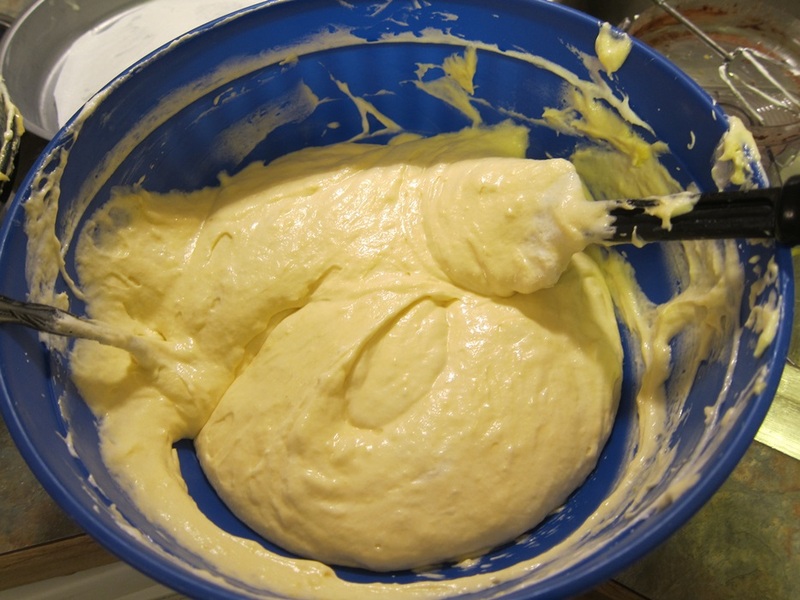 Increase the speed to medium for 5 seconds, then use a rubber spatula to ensure the batter is well mixed. As you can see from the pictures, the bowl I had to work with at my friend’s was a bit small/fragile for high speed mixing, so much of this happened with just a fork, and the texture of the cake still came out well. Gently stir 1/3 of the egg white mixture into the egg yolk mixture. Fold in the remaining 2/3s, gently stirring until evenly mixed, then gently stir 8 ounces of the chocolate into the batter, returning the remaining 2 ounces to the refrigerator. Spread the batter evenly between the two pans and bake 25-30 minutes, until the cakes pass the toothpick test, then remove from the oven. Cool in the pans for 20 minutes, then invert onto cake circles (or flat plates/cutting boards if you don’t have cake circles) and cool a further 20 minutes. Peel off the parchment and refrigerate the cakes for 30 minutes. All this cooling and chilling helps the cakes stand up to what happens to them next! While the cakes are cooling, prepare the frosting. 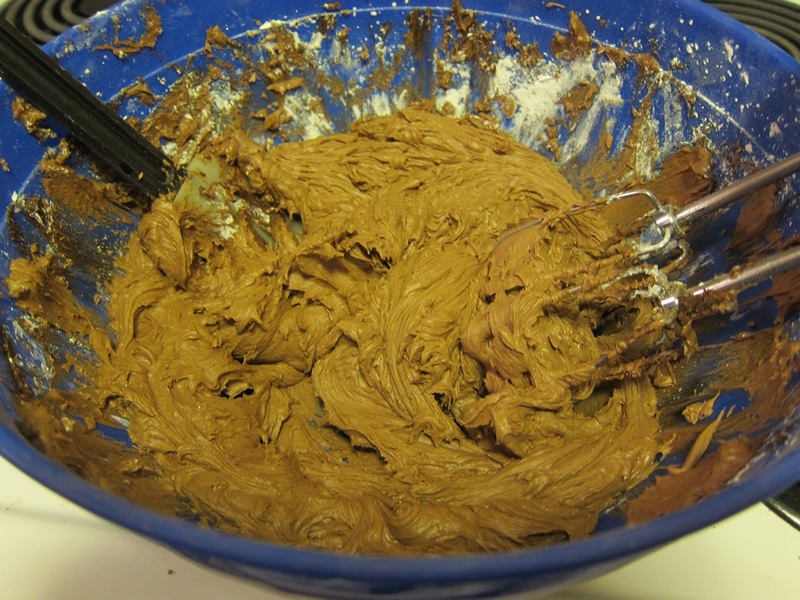 Combine the butter, cocoa, and salt in a bowl and beat until evenly combined. Add the remaining ingredients and beat on low speed for 10 seconds, medium speed for 10 seconds, and then on high speed until light and fluffy. Scrape down the sides of the bowl and beat again briefly. To assemble, remove the cakes from the refrigerator and cut both in half vertically, cutting each into two evenly thick layers. Take the bottom layer of one cake and place it on a cake board or serving platter. Cover with 3/4 cup of icing, then top with the top layer of that cake. Cover with another 3/4 cup of icing, then repeat with both layers of the second cake. Spread the remaining frosting around the sides of the cake. 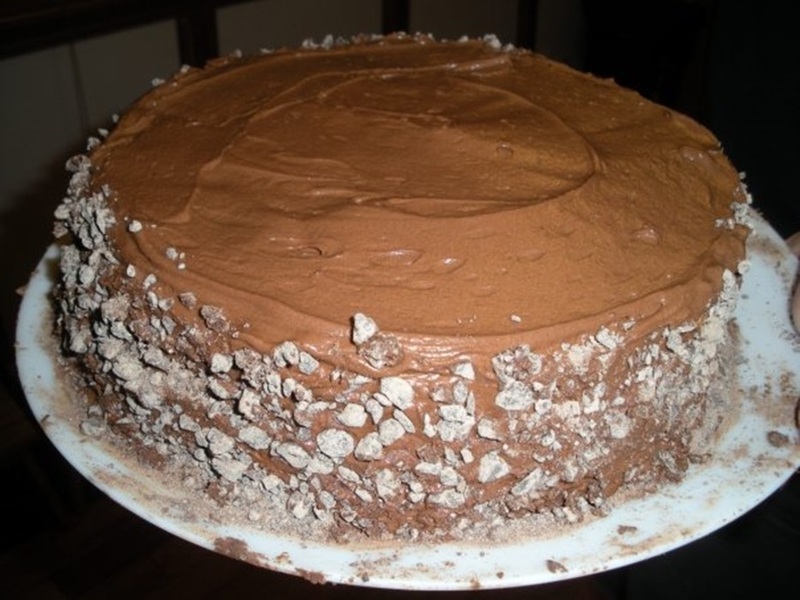 Gently tilting the cake, press the remaining grated chocolate around the sides of the cake. The cake stood up well to tilting last time I made it, and looked quite nice, but this time with the different cake sizes, I just kind of sprinkled the chocolate all over, since it was already a bit of a pile. Cut with a serrated knife, and serve. I had been trying to remember what this cake (in my own header image!) was for years, and was really excited to make it again when I figured it out. This recipe does not disappoint! 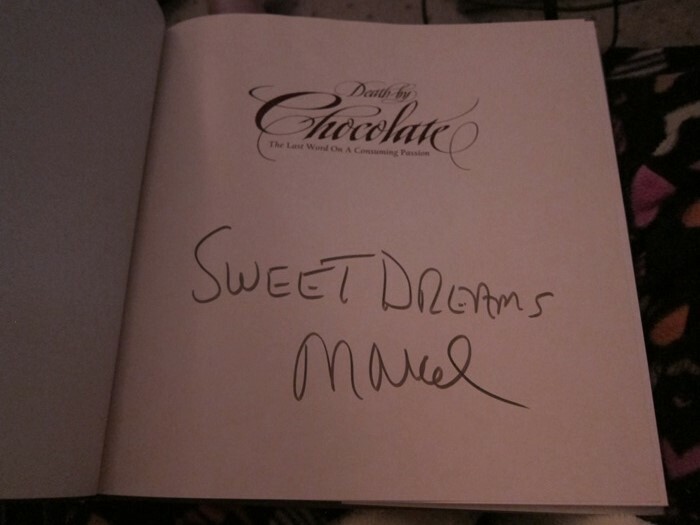 From Death By Chocolate by Marcel Desaulniers. 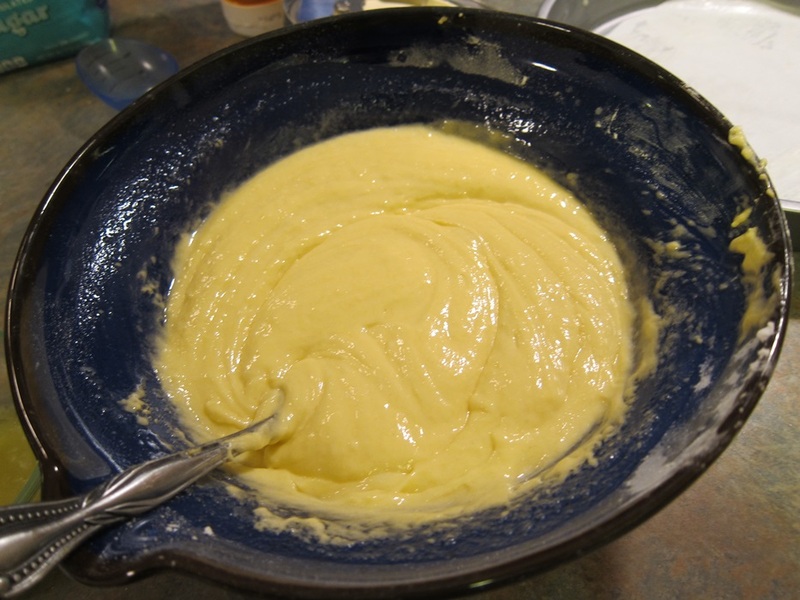 Combine the egg yolks and 3/4 cup of the sugar in a large bowl and beat on high, using a balloon whisk, until slightly thickened, and the color has lightened slightly. 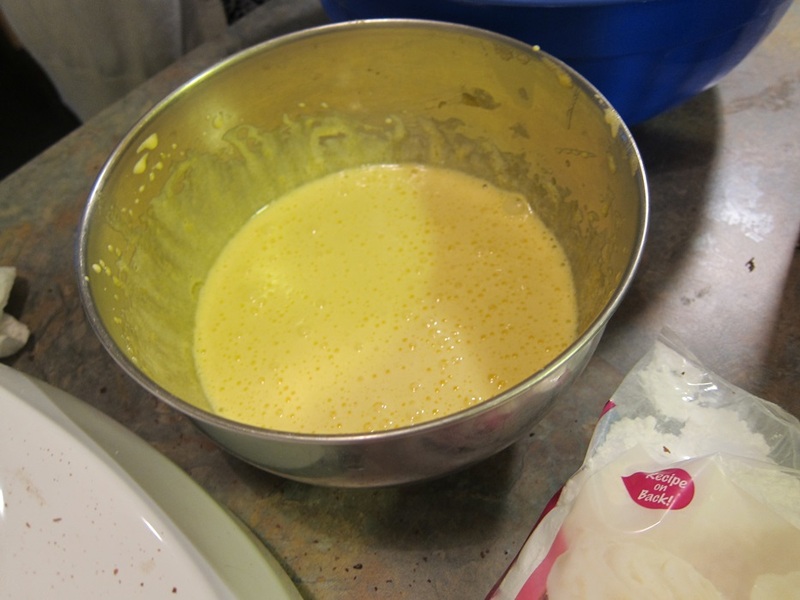 Gradually add the flour to the egg yolk mixture, beating on low, then add the melted butter and mix another ten seconds. 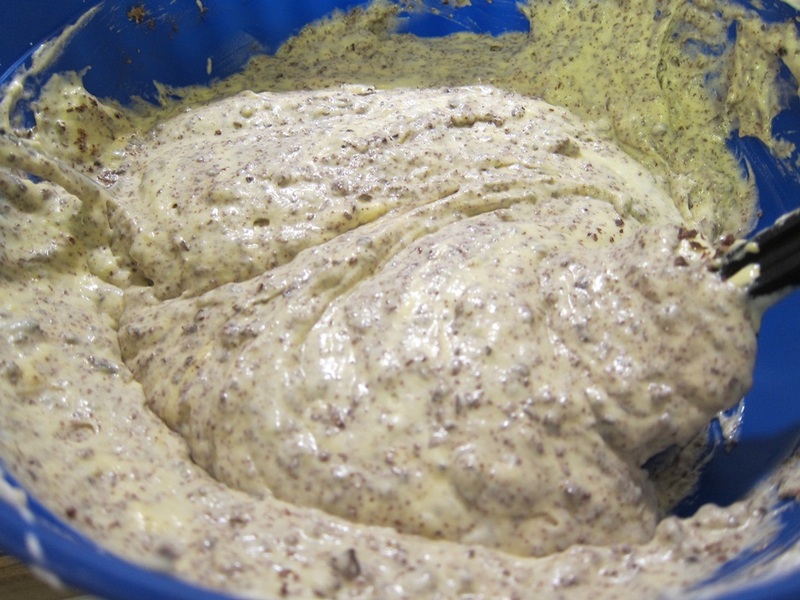 Increase the speed to medium for 5 seconds, then use a rubber spatula to ensure the batter is well mixed. Gently stir 1/3 of the egg white mixture into the egg yolk mixture, then fold in the remaining 2/3s, gently stirring until evenly mixed. 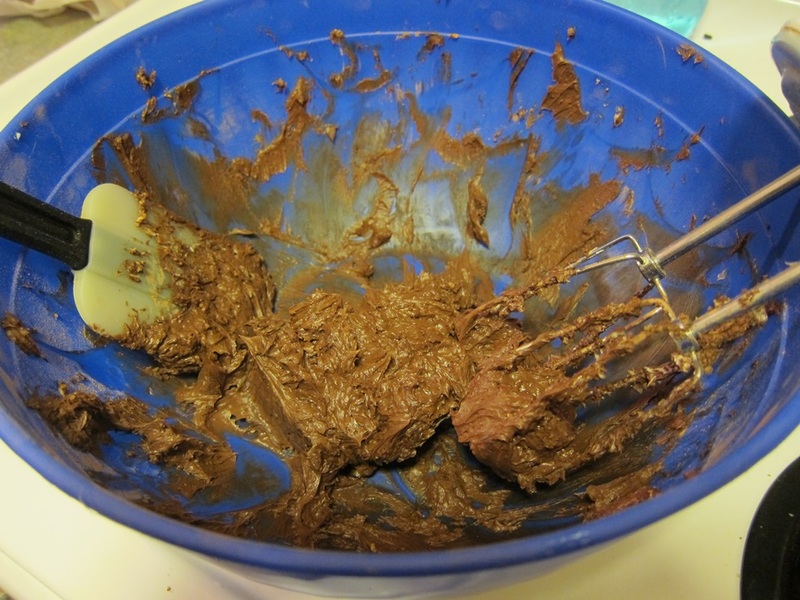 Gently stir 8 ounces of the chocolate into the batter, returning the remaining 2 ounces to the refrigerator. Spread the batter evenly between the two pans and bake 25-30 minutes, until the cakes pass the toothpick test, then remove from the oven. Cool in the pans for 20 minutes, then invert onto cake circles and cool a further 20 minutes. Peel off the parchment and refrigerate the cakes for 30 minutes. While the cakes are cooling, prepare the frosting. 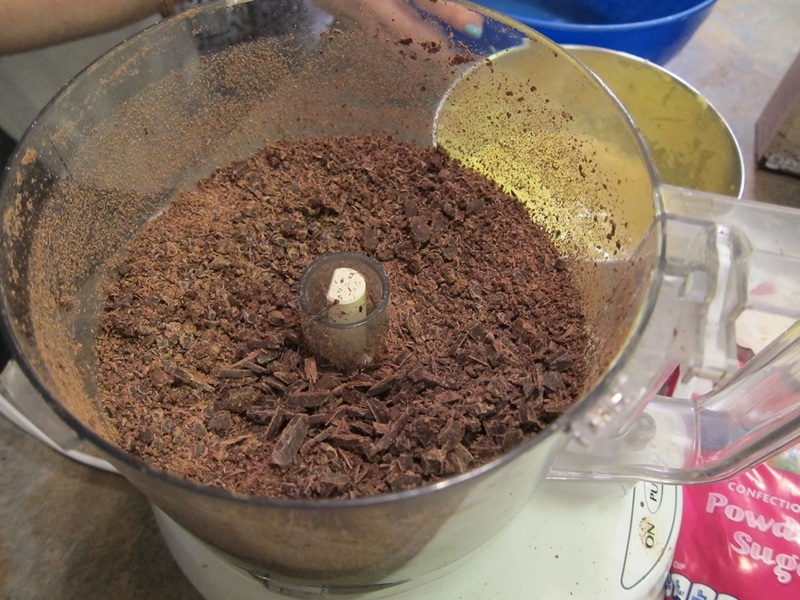 Combine the butter, cocoa, and salt in a bowl and beat until evenly combined. Add the remaining ingredients and beat on low speed for 10 seconds, medium speed for 10 seconds, and then on high speed until light and fluffy. Scrape down the sides of the bowl and beat again briefly. Gently tilting the cake, press the remaining grated chocolate around the sides of the cake. Cut with a serrated knife, and serve. This entry was posted in Dessert and tagged Cake, chocolate, Chocolate Cake, death by chocolate. Bookmark the permalink.